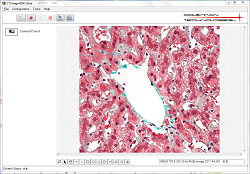 CTI ImageView software has been specifically designed for those seeking a low-cost, high-performance, solution for image acquisition & logging from GigE, USB, Firewire, and Camera Link cameras. CTI ImageView is available as a stand-alone program or as part of a complete image acquisition system, including lighting, lens (or objective), frame grabber, computer, mounting fixtures, enclosure and other hardware. 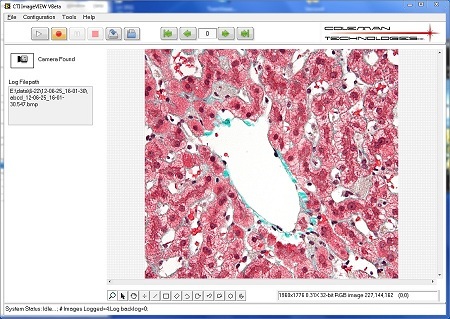 Customized versions with automated Image Analysis can be provided. High speed logging to numerous file types, including: BMP, JPG, JPG2000, PNG, TIF, flat binary file, and AVI. CTI ImageVIEW Standard (IV-002) is $799.00 which includes a license for National Instruments Vision Acquisition Software (which is required). For those who already own this license, CTI ImageVIEW base (IV-001) is $399.00.